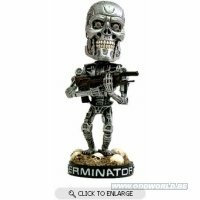 This fantastic Terminator 2 Endoskeleton Head Knocker from Neca is made of painted resin and comes approximately 8 inches tall. 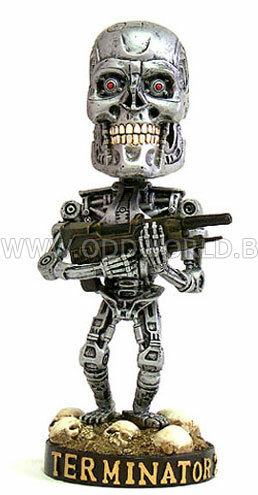 This is one Endoskeleton that'll keep coming back or at least his head will! 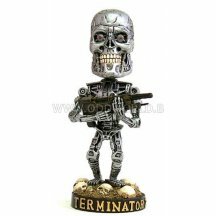 The Terminator Endoskeleton Head Knocker, give it a shake!